Public lotteries have a long history. From Caesar Augustus (where tickets had prizes of slaves, real estate, and ships) to European governments during the Middle Ages (which relied heavily on lotteries for revenue), state-run lotteries have continually proven lucrative, according to the Encyclopedia Britannica. Not surprisingly, the United States of America also has a long history of lotteries. Considered “voluntary taxes,” early lotteries were used to fund new colleges such as Harvard, Dartmouth, Yale, and Brown. In 1745, the General Court of Massachusetts passed an act allowing a lottery to pay off costs defending the colony’s frontier and seacoasts. By 1831, eight states held 420 lotteries. Today, lotteries are the most popular form of gambling in the United States, with two times as many annual participants as those who visit a casino. A Gallup Research Poll indicates that nearly 50% of Americans buy state lottery tickets each year. The majority of participants have a technical, college or post-graduate degree, earning more than $36,000 a year. The popularity of gambling has also been global, with numerous governments taking a cut. One of the longest-running lotteries was the Irish Sweepstakes from 1930 to 1987, the revenues of which benefited Ireland’s public hospitals. A state-run lottery managed by the country’s postal system replaced the Sweepstakes, providing more than £30 million for government-sponsored projects each week. According to the United Kingdom’s official National Lottery website, more than £1,901 million ($2.37 billion in U.S. dollars) has funded 500,000 projects since its origination in 1994. According to the North American Association of State and Provincial Lotteries (NAASPL), more than $110 billion of lottery tickets were sold in the United States in 2015. Roughly $33 billion of that was redirected to state and local governments. According to figures compiled by the U.S. Treasury Department, that represents approximately one-tenth of the Federal Government’s annual revenues from corporate taxes ($344 billion) and slightly more than 2% of the $1.5 trillion received from individual income taxes. With huge participation rates and billions in revenue, redirecting lottery funds can make a significant impact. As the national debt continues to rise, many have called for a national lottery, with proceeds spent paying down debt. Is it time to offer a national lottery in the United States to retire the National Debt? According to the Federal Reserve Bank of St. Louis, the total U.S. national debt will be $20 trillion by the end of 2016, a 347% increase since 2000. Many economists consider only the debt held by the public in their calculations, discounting the effect of intra-government holdings (an estimated $5.5 trillion at the end of the year). The majority of the intra-governmental holdings are in the Medicare and Social Security Trust Funds, as well as the Federal Financing Bank securities. In the year 2000, the country’s publicly-held debt was $3.7 trillion and gross domestic product (GDP) was $10 trillion (37.4% debt-to-GDP ratio). By the end of the second quarter 2016, debt was $13.9 trillion, GDP equaled $18.5 trillion, and the debt-to-GDP ratio was 75.5%. Prominent Harvard University economists Carmen Reinhart and Kenneth Rogoff claimed in a 2010 study that a debt-to-GDP ratio of 90% or more leads to slower growth and rising inflation. While the study has since come under attack for an acknowledged mathematical error, then-House Budget Committee Chairman Paul Ryan “went all in” on the controversial research, according to an article in The Nation. A 2015 Pew Research Poll indicated that almost two-thirds of Americans agree with Ryan and consider eliminating the budget deficit and paying down federal debt a top priority. Many people confuse the federal deficit with the federal debt. A deficit or surplus depends upon the revenues taken in by the government each year less the expenditures made during that same period. When expenses exceed revenue, the Treasury issues debt to cover the deficit, thus increasing the national debt. The federal debt has increased each year since 1969. Limited Tax Revenue Growth. Members of the Republican Party in control of the presidency and both Houses of Congress have publicly pledged to the Americans for Tax Reform advocacy group to avoid raising taxes. Inability to Cut Federal Expenditures. Due to a combination of the expenses of rebuilding the country’s infrastructure, continued defense spending to fight terrorism here and abroad, and relief for natural disasters, a reduction in federal spending is dubious. Continued Political Deadlocks. Even when the three arms of the Federal Government (legislative, executive, and judicial) are controlled by a single political party, agreements on sustained actions to reduce the deficit are rare due to the rifts within each party and biannual elections. Higher Interest Rates for Federal Debt. 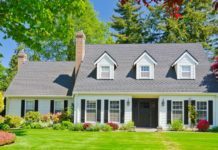 The United States has benefited from low-interest rates since 2010, paying an average rate of 2% or less as the Federal Reserve has attempted to recover from the Great Recession of 2007-2009. The Congressional Budget Office (CBO) projects interest rates will almost double over the coming decade. Recognizing the difficulty of achieving a balanced budget or a surplus, the CBO has proposed 79 options to either increase government revenues or decrease spending. Surprisingly, the creation of a national lottery and dedicating its income to debt repayment was not a consideration. Despite Americans’ appetite for gambling, lotteries has limited appeal in the mid-1800s. Scandals and government corruption led to their complete prohibition in the country by 1895, though illegal numbers games continued under the protection of organized crime. Then, in 1963, New Hampshire legalized a lottery to fund their education programs. It was followed by New York four years later. In the 1970s, 12 states established lotteries, 17 states in the 1980s, and six states in the 1990s. An additional seven states approved lotteries after 2000. Today, 44 of the 50 states offer a lottery with the proceeds boosting state revenues. Three states – Mississippi, Alabama, and Utah – ban lotteries on religious grounds, and Nevada’s lack is due to opposition from casinos in the state. Alaska has yet to introduce a lottery due to financial concerns about its viability in a sparse population, while Hawaii citizens have been opposed to lotteries. The states with the largest populations – New York, Florida, California, and Texas – account for the greatest sales and contributions to state revenues. According to the U.S. Census Bureau, an average of 62% of each dollar in sales goes to lottery winners, about 5% is spent on lottery administration, and about 33% is sent the state government sponsoring the lottery. Nearly all states with lotteries offer instant-winner and three- or four-digit games with reduced odds and lower payouts. Some tickets offer a second chance at winning after the main lottery drawing is completed or a multiplied payout for extra fees. Some states have investigated or currently operate video games of chance similar to casino games in addition to lottery games. Many have combined to offer extra-large payoffs, such as Powerball and Mega Millions. On January 13, 2016, three winning tickets split the largest jackpot in history: $1.6 billion. 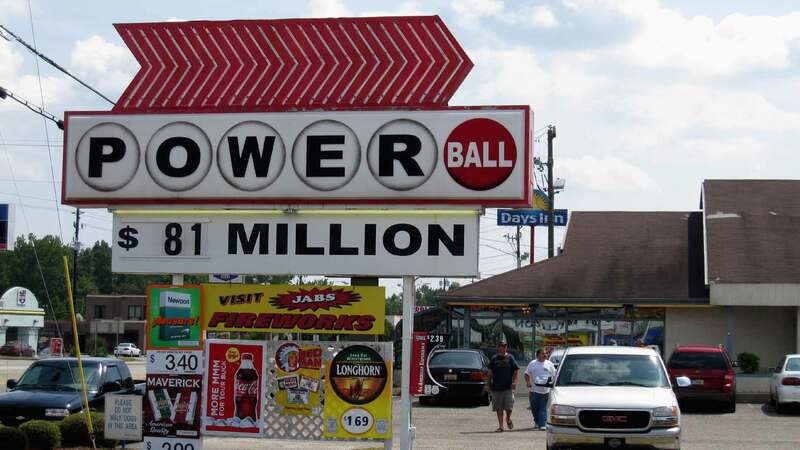 Many states promote group play where individuals can attract players and manage lottery pools. Advocates claim they are a way of increasing the odds of a win without increasing the financial investment. Some pools have won large jackpots. 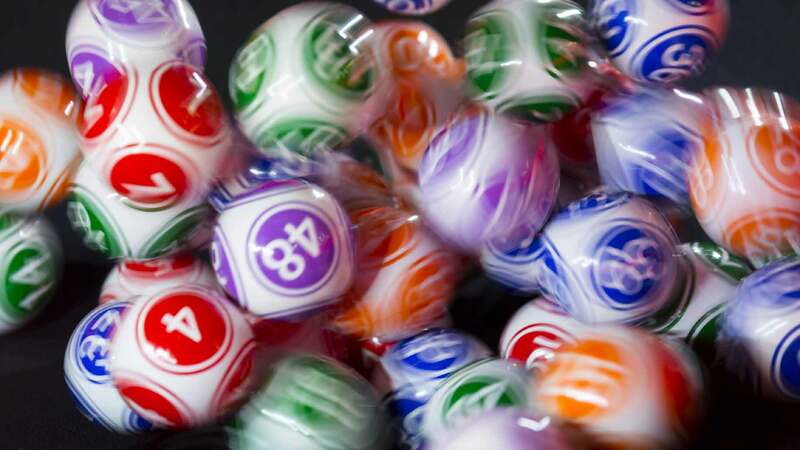 While lotteries encourage combinations, they also advise that each pool should be established with a written contract regarding participation, conflicts, and division of prizes between players to avoid future conflicts. According to USA Today, lottery sales in 18 states fell during 2015, the likely reason being jackpot fatigue. Larger Jackpots. With national (and even international) sales, top prizes should regularly exceed a $1 billion or more for winners. A statistical analysis by LottoReport.com indicates a positive relationship between the number of tickets sold for each drawing and the size of the jackpot – in other words, more tickets are purchased as the jackpot increases. For example, the Powerball jackpot of $320 million on November 19, 2016, attracted almost $61 million in ticket sales during the final week of sales. The $1.58 billion jackpot on January 12, 2016 garnered $1.27 billion in ticket sales. More Frequent Winners. While the probability of winning for a game requiring five correct numbers plus a bonus number (5+1) chosen from 69 numbers is about one in 292 million, greater ticket sales accompanying the larger prizes increases the likelihood of winning and multiple beneficiaries. For example, the Powerball prize of $1.58 billion had three winning tickets, one each in California, Florida, and Tennessee. Greater Income Tax Advantages. Lottery winners in the states that participate in lotteries are usually exempt from state and local income taxes but must pay federal income taxes. Lottery winnings are taxed as ordinary income with the highest rate of 39.6%. The IRS withholds 25% of the winnings before initial distribution and collects any remaining taxes due at tax time (April 15th). As the sponsor of the lottery, the Federal Government could exempt all or a portion of the winnings from income tax, thereby increasing the net payout to the winner(s) and the percentage of total sales retained by the government. Lower Administrative Costs. Administrative expense and retailer commissions typically average between 4% and 8% of total ticket sales, with retailers receiving the larger proportion. Since the majority of administrative costs are fixed costs – salaries, equipment, facilities – they will decrease as a percentage of total sales as jackpots grow. Also, the number of unclaimed lottery prizes – estimated at $2 billion in 2013 by CNN – is likely to increase. Using the unclaimed prizes to add to future jackpots or offset administrative costs would increase the Federal Government share of the ticket sales. Greater Contribution to Government Revenues. The UK’s national lottery estimates that the £30 million ($37.2 million) is distributed to government programs each week. Since the U.S. Population is 4.9 times greater than the UK’s population, it would seem reasonable that the net proceeds to the U.S. government would approximate $45 billion or more annually. This estimate is the equivalent of 2.33 times the amount collected in estate taxes in 2015 or 10% of corporate taxes collected that same year. Using lottery proceeds for the public good is a common argument to justify the existence of public lotteries. Many states have earmarked the revenues from their lotteries for specific purposes, especially education or military veterans. For example, the Texas Lottery has contributed more than $19 billion to public education in the state and $70 million to veteran programs since 1997. 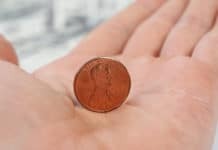 Dedicating proceeds of a national lottery to national debt repayment would help reduce the impact of annual deficits and accelerate reduction of the current punitive national debt. Politicians love lotteries as alternative ways to increase revenues without incurring voter disapproval that accompanies tax hikes. No one is forced to buy a ticket in a lottery or to spend a significant minimum to participate. The average lottery ticket costs less than a fast food hamburger or a movie ticket. In return, the buyer gets hours of happiness, dreaming of winning and imagining how he or she would spend the windfall. Lottery foes complain that the lottery disproportionately affects the poor as they spend a higher percentage of their income for tickets than those with higher incomes. This provides false hope to those in need. (There is a greater likelihood of being struck by lightning than winning the big jackpot.) Opponents of the lottery overlook the chance, no matter how small, that a person can spend a dollar and wind up a millionaire, and the possibility makes ticket buyers feel alive and hopeful, if only for a moment. Many poor people know that, in some regards, they have already lost the “lottery” that is life, and that hard work doesn’t always lead to success. They are likely to work hard every day of their lives and remain in poverty, struggling to make ends meet. Those on the bottom of the recognize that a poverty-level wage is rarely a ticket to a better life, providing just enough to get by with no hope in sight to ascend the economic ladder. When you are poor, you buy lottery tickets because “it is one of the only legal opportunities available to become rich,” according to Chris Amade, a former Wall Street trader writing in The Guardian. Only the arrogant discount luck. John Malkovich, one of America’s great character actors, claimed in an interview with The New York Times, that he considered his success a matter of luck, not preparation or skill. And in a 1988 New York Magazine article, Donald Trump stated, “Everything in life is luck.” The lure of the lottery is that anyone can win. According to Salon, many small retailers could not remain open without the commissions on the sales of lottery tickets. The NAASPL claims that more than 210,000 retail outlets including convenience stores, gas stations, and supermarkets sold lottery tickets during 2015. Revenues from commissions and administration of the various state lotteries support hundreds of thousands of small business owners and employees manufacturing and maintaining lottery sales terminals. Also, coding, testing, and managing lottery-affiliated software – as well as collecting, accounting for, and dispersing lottery funds – require hundreds of lottery personnel to support each of the 44 state lotteries. This adds up to plenty of jobs. Those who oppose lotteries do so for a variety of reasons, including immorality and economic discrimination. Plus, the lottery is potentially a gateway to gambling addiction. A New York investment banker interviewed in The Guardian claims “a lotto is a stupidity tax.” Others point to the scandals and frauds that led to the outlawing of lotteries in the late 1800s. They say that lotteries are a form of gambling. In reality, gambling is a zero-sum game, with money shifting from one player to another. University of Nevada professor Bill Thompson claimed in an interview with PBS Frontline that lotteries are pyramid schemes with no economic gain for society. Negative publicity has proven powerful. In the 19th Century, the Louisiana State Lottery – closed at the insistence of President Benjamin Harrison after being called “a breeding ground of corruption” in his 1890 State of the Union Address. FreedomWorks, a conservative website, claims that the poor are the greatest victims of state lotteries, spending a larger proportion of their income to buy tickets. According to the Salon article, households with annual incomes of less than $13,000 spend about 9% of their take-home income ($645) on lottery tickets. A 1987 study by Duke University economists found that lottery tickets are an implicit, regressive tax in virtually all cases. Money spent on lottery tickets – exempt from taxation in most states – would otherwise be used for taxable products and services. Retailers selling tickets lose revenues (and pay fewer taxes) as their customers purchase low-margin tickets rather than food, beverages, and other high-margin offerings. A national lottery would divert millions of lottery dollars currently received by the states. The losses might imperil critical state programs, likely leading to increased state taxes or fewer services. State legislatures may consider the creation of a national lottery a Federal Government overreach, initiating expensive court challenges. Opponents claim that the Feds are utilizing a “rob Peter to pay Paul” scheme, taking needed funds from the states to support the bloated, inefficient Federal Government bureaucracy. Reduced lottery revenues on a state level will decrease lottery jobs and increase unemployment on a state level. Finally, opponents warn that directing the ticket proceeds to pay down the national debt will be diverted to other, less visible uses. 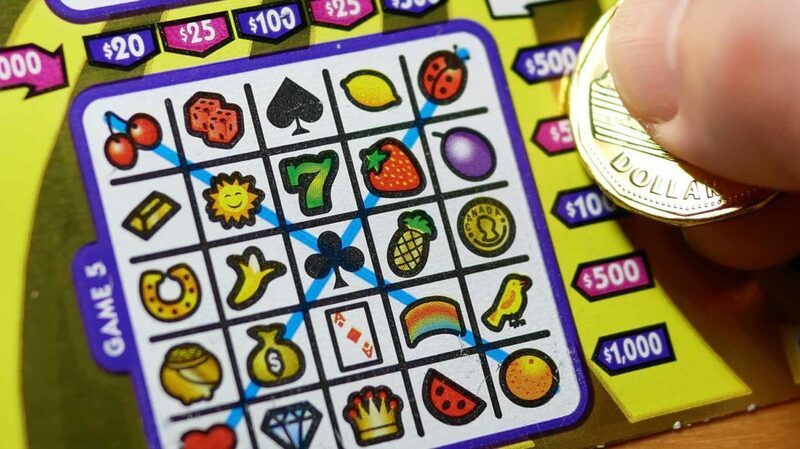 They point to a report by the National Gambling Impact Study Commission that suggests legislators often divert state lottery revenues from their stated purpose to a state’s general funds. The national debt is a growing problem that will not magically disappear. The solutions are obvious – raising income through higher taxes, cutting benefits and services to reduce expenses, or a combination of both – though unpalatable to America’s politicians. The appeal of a voluntary tax such as a national lottery may be irresistible. But how much money could be raised? No one knows since there are no reliable estimates of the total dollars involved in gambling in the United States. An Oxford Economics report commissioned by the American Gaming Association estimates that 984 legal casinos located in 39 states generate $240 billion in economic impact and support 1.7 million jobs. Almost $400 billion is estimated to be gambled on sporting events each year, the vast amount wagered illegally, according to The Washington Post. While elected officials may hold their noses when discussing a lottery alternative, the financial benefits are difficult to overlook. Should the United States have a national lottery? If so, would you purchase tickets?